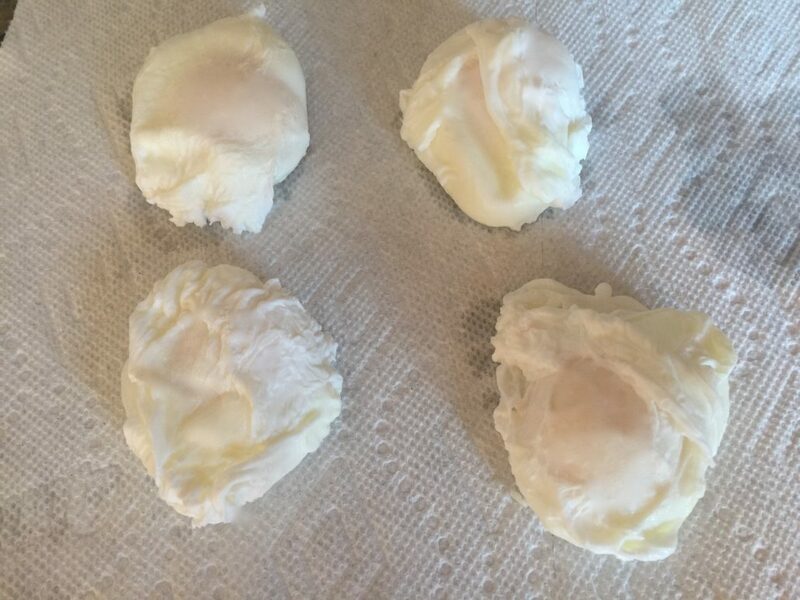 To prepare the Poached Egg Recipe can be a challenge. If the water is too cold, the egg yolk will separate from the egg white. If the water is too hot, the egg whites will harden too fast. It takes a little practice to make a perfect poached egg. The Poached Eggs are called Verlorene Eier in Germany. Fill the frying pan or pot with water about 5cm — 2in. Add vinegar to the water and bring it to a boil. In the meanwhile prepare the eggs. 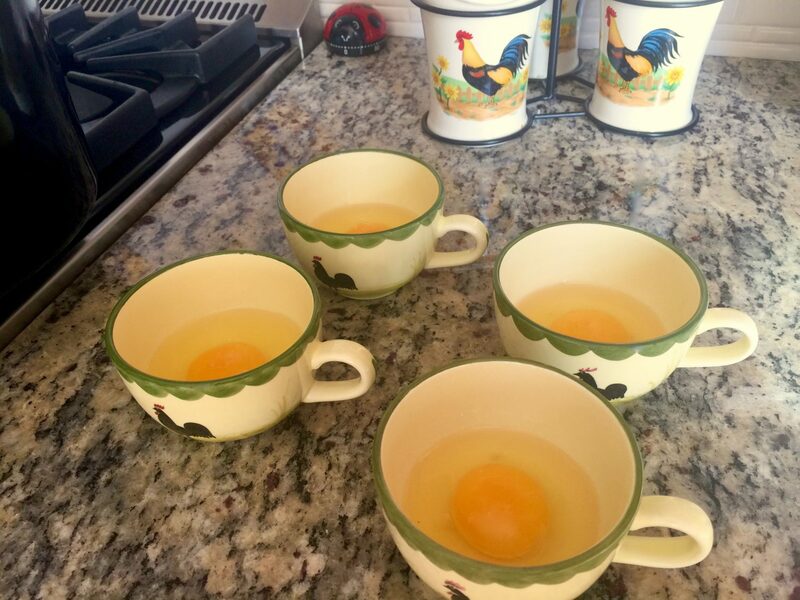 Place the eggs in the cups, one cup per egg. When the water boils, turn the heat down to medium. Stir with a whisk in circles to create a whirlpool. Carefully slide the egg from the cup into the whirlpool. Continue, until you have used all the eggs. Cover the pot and turn the heat down so the water simmers. 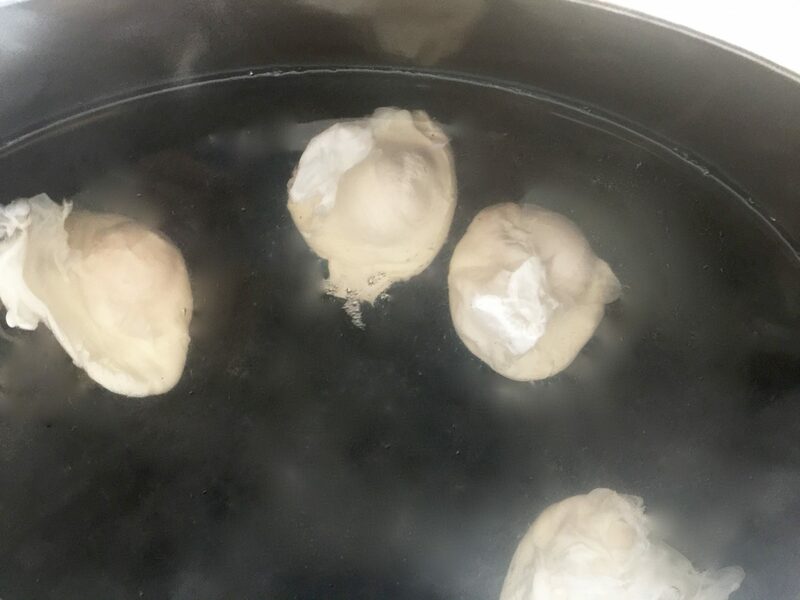 After about three minutes, the eggs are ready. Take them out with the help of a skimmer spoon and place the eggs on a paper kitchen towel to dry. Poached eggs are a favorite for breakfast and often served with bacon. Poached eggs are also an excellent topping for salads or meat or on top of Oma’s Meat Patties-Frikadellen.